Never use obvious usernames and login credentials for your main Admin account. Instead, go with something that is more fun and difficult to crack and hack. It is risky to use your main Admin account to edit and publish new works, or whenever you are working with your content. This is especially so whenever you are using public Wi-Fi access. Instead, consider creating a unique Editor account and start using that login for all the content work you are looking to do. Of course, you should ensure that the login is not obvious and will not be easily cracked and hacked. 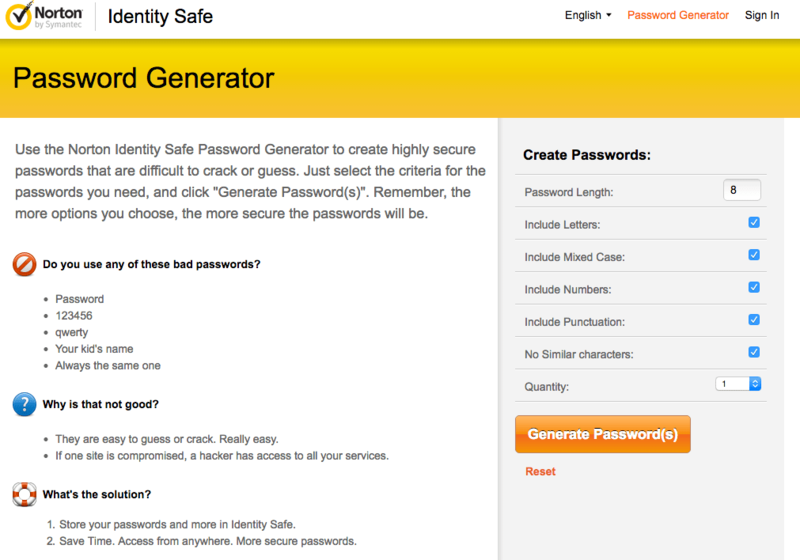 Never ever use passwords that other people can easily guess. It goeswithout saying that you should force anyone who has access to your website to do the same.Include capital letters, special symbols like exclamation points, and numbers to make it more complex. Password guessing is a major issue as well. People and bots can make multiple attempts to guess your password/login combinations until they manage to get it right. Therefore, you should consider using the login lockdown plugin to limit the number of times anyone can try to login into your account. Should they fail to do so after a couple of pre-specified tries, they will be blocked from having access. Apart from ensuring that your website is secure in and by itself, you might also want to take good care of all the computers and other gadgets that you usually use to access the WordPress website. Key loggers typically use your keystrokes to recreate your password and login details. Similarly, direct FTP – based bots will get open FTP connections before uploading hacked files into your server. To solve this situation and potential threat to your WordPress account, website, and blog, you should take better care of your computer. A good place to start would be by using the best antivirus software your money can buy. There are also plenty of free options if your budget is tight. Make sure you avoid suspicious sites, and never open emails from someone you don’t know. Of course, it goes without saying that you opened your WordPress account simply because you were looking to accomplish something with it. 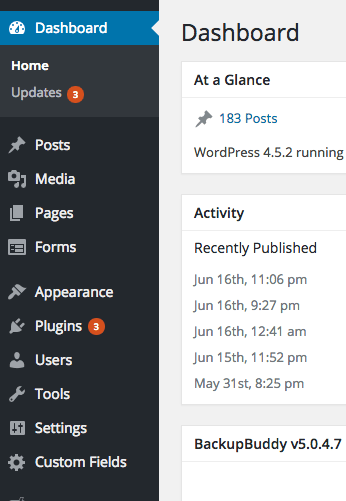 A highly detailed change log corresponds with every new WordPress release. In such change logs, all fixed bugs will be listed. The solution to this problem, however, is quite simple. You just need to enable auto updates for your website. Alternatively, you can also perform manual updates whenever you get notifications requiring that you update your account. However, there’s more to updating the account than just that. You also need to ensure that your WordPress plugins are also kept up to date. Although backups will not save your website from getting hurt, they are mandatory, especially if you are afraid that things might start going wild. With a recent backup, you can easily restore your WordPress website back to how it was prior to the attack. You can perform a WordPress backup using free plugins, including WP backup to Dropbox. Similarly, you should be able to create a backup through Backup Buddy. This plugin is a feature rich solution that will make your life much easier. There are many other things you can continue doing to further bolster your WordPress security and safety. For instance, find the best web host your money can afford for you. Keep in mind that the cheapest hosting service may not have the best security. The best hosting service will provide you with the WordPress security and safety you are looking for. Accidental vulnerabilities are not your only enemies. There are also a number of intentional vulnerabilities that you can easily avoid.For instance, if you choose to download plugins from shady sources, they might feature source codes that are designed to specifically hack your WordPress website. In such cases, you will have hacked your own website, albeit indirectly. This is also the same for themes.Therefore, consider checking the official plugin and theme directories at WordPress.org. The downloads on these directories do not feature dangerous code. For premium plugins and themes, on the other hand, you need to check the seller’s reputation online. CodeCanyon and ThemeForest are generally safe on account of the thorough and lengthy review processes that every new plugin and theme is taken through. Some plugins might contain surprises which could hack your WordPress site. Sometimes, you will come across a couple of basic security vulnerabilities. To ensure that your site is safe and secure, you simply need to remove every plugin that you do not use on a regular basis. Instead of just deactivating such plugins, delete them entirely. You should also consider reducing the total number of plugins you installed for your own WordPress security and safety. Most of the security plugins you will come across on WordPress are designed to ensure that your blog and website stay safe. This is affected through file permission control, firewall protection and database scans. One of the great things about these plugins is that they often work on autopilot. Once they’re installed, they do their job without the need for any input. To ensure that your site is protected from the latter, consider downloading and installing the BruteProtect plugin. This plugin will ensure that anyone who tries to login into your account severally from an unidentified or strange location, or device, will be blocked effective immediately. There are many other ways to protect your WordPress account. However, you can be sure that the above tips and tricks should keep you learning how to accentuate and strengthen your WordPress security and safety. How do you keep your WordPress site safe from hacking? Let us know in the comments!